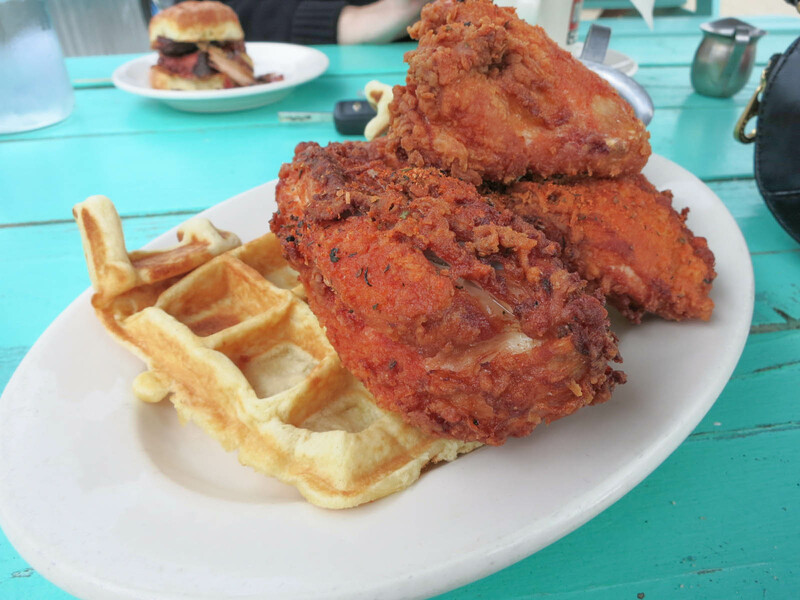 The Fremont Diner is a diner in Sonoma California that does Southern food with a local twist. They serve all of the classic southern dishes (biscuits and gravy, pulled pork, chicken and waffles, grits etc. ), but they get most of the ingredients they use from their own farm. I came here with my Mom on a day trip we took from San Francisco out to Napa. We stopped by for breakfast and it was pretty busy. They have both indoor seating and a large patio outside. My Mom ordered a ham biscuit. I was making fun of her because it seemed like a boring thing to order, but it was actually great. The ham was almost like pulled pork and it was so flavourful and smokey. The buttermilk biscuit was home-made and perfectly buttery and crumbly. 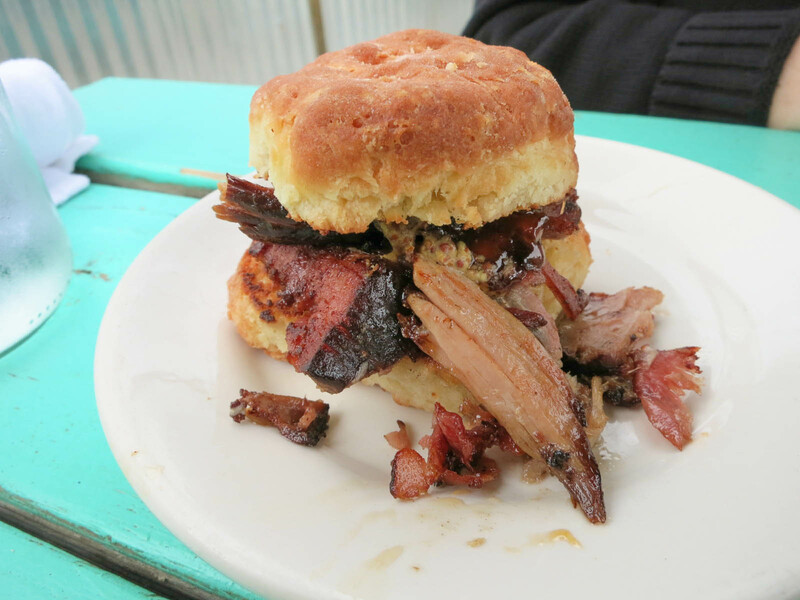 The biscuit was also smothered with creole mustard and a mixed citrus marmalade. It was the perfect tangy and sweet sauce to bring the sandwich together. I had the chicken and waffles that were made with sweet corn waffles, half a fried chicken, butter, and syrup. The waffles had a good flavour, but I felt like they could have been cooked a bit longer for a more crisp texture. The fried chicken was amazing. It was the best fried chicken I have ever had. The chicken was juicy and moist on the inside and the outside was very crispy and coated in flavourful herbs. When dipped in some sweet syrup it gets even better. I loved the Fremont Diner and it ended up being one of my favourite restaurants I visited on my trip. I love how they use food they grow on their own farm because the food is so fresh. I wish I could go back and try every item on their menu. Yes, for high quality, Southern diner food.